Relief is coming for those who always try to plug USB cables in the wrong way. 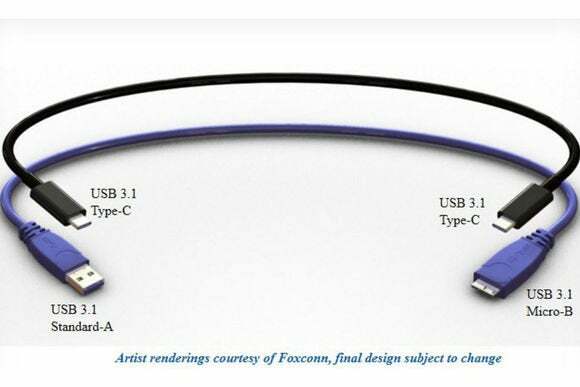 The specification for a new type of USB cable, called USB Type-C, has been finalized by the USB 3.0 Promoter Group. That means it's now ready for production, with the USB Implementers Forum set to establish a compliance and certification program for new cables and connectors. But over time, the new specification will become more capable than current USB 3.0 cables. Theoretically, it can transfer data at up to 10 Gbps, and can deliver up to 100W of power. This could lead to universal charging cables for laptops and slimmer devices, with all the connection capabilities of today's full-sized USB jacks. It'll be a while before we get there, however. Although the USB Promoter Group's latest press release includes glowing quotes from Intel, HP and Microsoft, it doesn't have any sort of timeline for when the first USB Type-C-supporting devices might show up. The group has previously suggested that the first products will ship by year's end, but the latest update makes no mention of that goal. Even after the first devices arrive, there will be an awkward phase in which users will need adapters or new-to-existing cables to work with older devices. We might even see laptops with both USB Type-C and older USB connections on board. Still, the words "ready for production" are always encouraging, especially at the end of a long standards process.